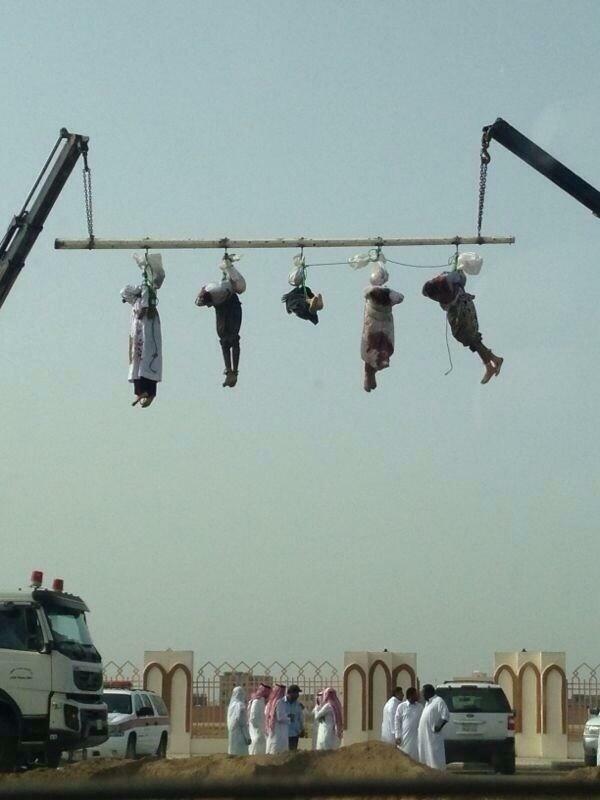 Every Friday, in Riyadh, Saudi Arabia , residents and guests (I imagine most of them Americans) can watch amputations and if they are "lucky" and executions too. With a horrific rite that includes gruesome functions for the "sensitive" stomach of a democratic Westerner, the executioner raises his axe and lets it drop to the end of the one being accused of stealing . A heartbreaking cry sounds before the blood starts to flow everywhere , reaching sometimes as the crowd attending the medieval exemplary punishment. 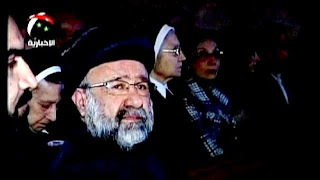 Each year , the Riyadh regime, the U.S. allied royal family, executes about 80 people who may have been accused of adultery , homosexuality , religious waiver or whatever else one mullah chooses, who however does not annoy the democratic sensitivities of President Obama, as he did not (also) for former presidents. The UN, the international organizations and of course the U.S. government have not identified in the oilfields of Saudi Arabia no violation of human rights that will require some intervention. In contrast, the IMF commends Saudi Arabia for the economic miracle that is a carrier. In 2011 , Saudi Arabia made ​​a military intervention in neighboring Bahrain, where Shiite protesters protesting against tyrannical Sunni regime. Bahrain also a U.S. ally in the region, has a tradition to torture and anti-democratic features, but does not employ the American fleet docked in its ports. The U.S., however, are bothered by the tyrannical Syrian regime and the undemocratic regime in Iran. If what is happening in Saudi Arabia was happening in Syria, the U.S. would require, in the name of Democracy, to bomb Assad with nuclear weapons. And I imagine there would be many allies who would agree. In 2003, the attack on Iraq was not only for biological weapons which of course did not exist, but it turns out now that the argument for their existence was a conscious lie to get the Americans in the region. In Afghanistan the Taliban fell, but the burqa and the lack of democracy remain. The modern international legitimacy, is a set of considerations, an offsetting of interests, an ostensible Republic of military generals and the cynicals of the so-called stability. In Syria there is apparently an authoritarian regime, as in the 90% of the Arab world. There is also a civil war, which is maintained by the U.S. policy. With this perception of foreign policy the whole adventure in the Middle East in the 50's started. When the U.S. and Great Britain as evidenced by the documents of the CIA, threw the elected government of Mohammed Mosantech. In order to control the oil in the region, raised to power puppets, who later turned into beasts against them. The democratization of the Middle East, never moved forward, not because some in the area are born and remain undemocratic, but because those who wanted to control them did not allow it. 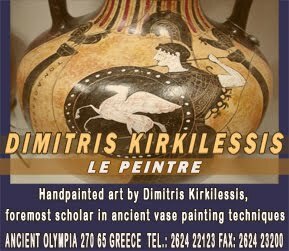 Throughout this geopolitical game, the position of the Greek government, first and foremost the very Vice-President's, shows what it is. Another slavish obeisance to the argument of the merely one way from which we can not escape. For some reason, the roads chosen by Mr. Venizelos, always are marking the one-way, with the pointer staring at powerful interests. When the Samaras - Venizelos government formed, I risked a prediction. That Venizelos will require the Foreign Ministry with the sole purpose to use it as a lifejacket for his political survival. He knew very well that the national issues to be opened directly (Skopje, Cyprus) and the International ones, his willingness to contribute to international 'legitimacy' in a similar way that has helped in the Greek case, making ordered laws and by lump, would make him indispensable, so he would be kept politically alive. Evangelos Venizelos, confirmed the predictions with cynicism as always, interspersed with nonsense of legal and democratic necessity. With the known "kindness", he is ready to give permission to kill thousands of people so as to stay alive and popular with the transatlantic allies and not only with some "bad" publishers. He is changing track in the game, hoping that will win a bonus. In this war, even the Parliament of the traditional U.S. ally, Britain decided to vote "no." Obama himself is still being skeptical. 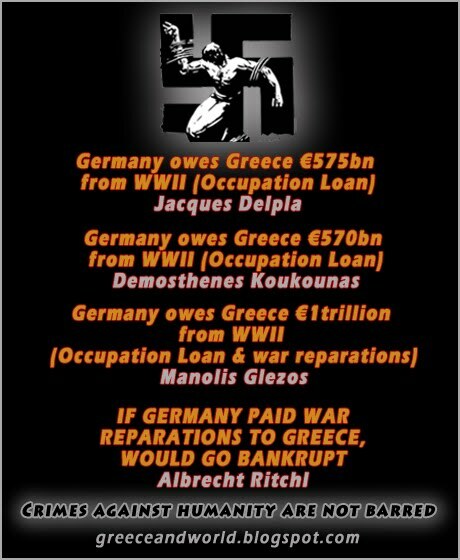 But Samaras and Venizelos vote "yes" in deciding to become Syria killers too. Ultimately they are nothing other than serial killers started from their own country. 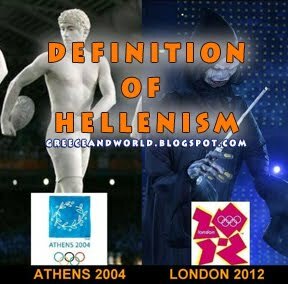 I, personally, am 'glad' that over the centuries democracy is evolving around the world and in extension in Greece, from where it was created!! Of course all people totally agree to it including Mr Obama, the U.N and all humanitarian organizations ... CONGRATULATIONS! 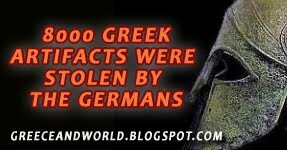 On September 2nd 1944 the German occupiers and their "Greek" colleagues conducted one of the most gruesome crimes, killing and burning alive in the village bakery 146 residents of Chortiatis village. 109 of them were women and children. 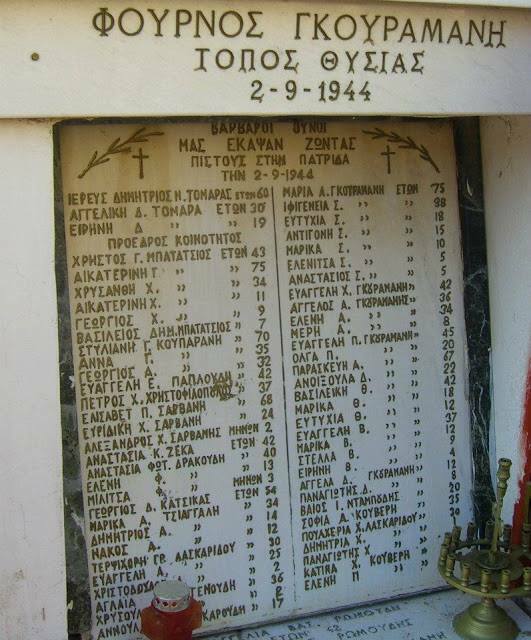 The massacre took place on the occasion of the attack of Greek rebels of ELAS against passing Germans. Anticipating revenge of the Nazis on the basis of "collective responsibility", the rebel soldiers of ELAS convinced the vast majority of the villagers to hide in the mountains. Those who stayed in the village were killed almost in their entirety. 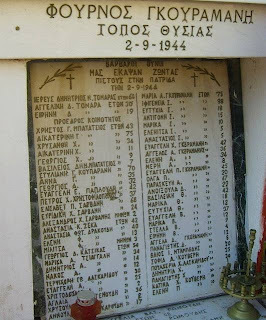 The Chortiatis massacre was a World War II mass murder of 146 civilians by theWehrmacht, at the end of the occupation of Greece by the Axis powers on 2 September 1944. After the capture of three German soldiers by the Greek People's Liberation Army(ELAS) on mount Chortiatis, the German occupation authorities decided to react immediately with a reprisal operation against the civilian population of the village Chortiatis. About twenty trucks with German soldiers and the paramilitary forceJagdkommando Schubert, named after the Wehrmacht sergeant Friedrich Schubertwho was in command, surrounded the village. They gathered all the people they found in the town square, and began to loot and burn houses down. 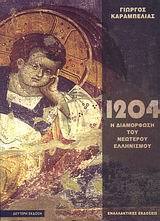 One group of the civilians was led into the house of villager Evangelos Ntinoudis. They were locked inside and the building was set on fire. They were burnt alive. The other group was locked in the bakery. Schubert's men set up a machine gun and began to shoot them down from a small window in the door. After this they set fire to burn alive those who were not killed by the bursts of the machine gun. Apart from the people who were killed in the two groups, others were raped and killed outside their homes or even the village, while trying to escape. A total of 146 civilians residents of Chortiatis were killed that day. 109 of them were women and girls. 300 homes were burned down.